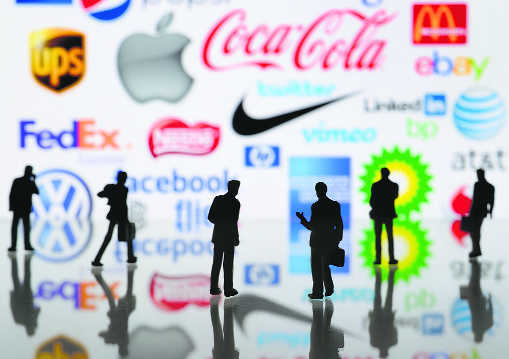 Brand equity is an indisputable evidence of distinction which can be established over a period of time. The best strategy to measure brand equity is “discreet choice conjoint”. In other words it is ‘commercial value derived from consumer preferences & experiences’. There should be consistency and congruence in the communicative message which is to be delivered in front of the customers. A stronger brand equity can be exemplified by the reflex recall of any brand that comes to a customer’s mind when talked about a specific product. For example: Say if a person wants to buy noodlesthen first idea which comes in customers’ mind is forMaggi, for Cars it is Maruti, Thanda reminds Coca Cola, for toothpastes it is Colgate, for Pizza it is Domino’s and many more. These are such strong brand equities that they have replaced the product itself. 1. Consistency and Congruency in message: It should be clear from firm’s perspective how their product should be known. There must be consistency and congruency in the product message to be delivered to the public. For example, if we differentiate between two brands of Coca Cola — Thumbs up& Coke, both of them have different targeted audience,Thumbs Up is targeting towards the youth segment whereas Coke is targeting towards family audience. This can be reflected in their consistent messaging and choice of Brand Ambassadors. 2. Convey your story: In order to build a brand sometimes organisations try a strategy of conveying their background story. This is an impactful strategy to establish an emotional connect with customers. 3. Bring it to life: Create some taglines, a logo so that it can be identified in the real world. However, one should not misunderstand a tagline (punchline) or logo with a brand as these just help the customers in identifying the product or a firm associated with it. Logo and taglines are just the entry level brand communication tools. Brand equity can also be established further by using digital marketing sources like website and social media. Advertising is another effective tool to create brand impressions . 4. Build brand image before selling: Start selling the brand even before your target audience decides to buy it. The brand impression activity starts very well before the actual transaction. The most easily understandable example here is from elections, where various politicians nail the art of social media engagement through campaigning before the actual polling. 5. Measure your efforts: Brand equity keeps on fluctuating from positive to negative depending upon the assurance given by the firms. This is applicable to everyone, be it by politicians, corporates or individuals. If a firm is successful in maintaining good relations with their customers, brand equity will be in the right direction. Customer Feedback: Always take feedback about your services or products to understand how you can develop your product more customer friendly. The feedback will give you an insight on your brand’s strengths & weakness to develop a strategy around it. Check your search ranking: Is your brand appearing in the searches? How much is the traffic, when and why was there a traffic spike etc. This will help you determine the target audience which is actually interested and what was the pull for them. Monitor social media conversations: Consumers are very much expressive with their views related to a brand they like or dislike and this can be seen either on your social media marketing or other portals or their blogs.